Happy New Year! The end of 2017 brought renewed attention to Human Resources with attention on workplace harassment and the Affordable Care Act taking front and center. As we look towards 2018, Insight has outlined HR Trends for 2018. 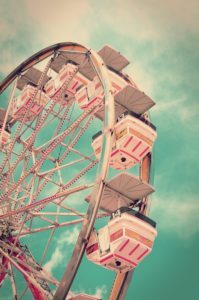 For additional trends and thoughts for the new year, enjoy this month’s HR Carnival. The Rise Smart Team looks at the changes and current trends in Human Resources over the past 10 years in their blog, From 2008 to 2018: 8 Ways HR Has Evolved to Put People First. Staying on top of the changing and new technologies in learning and development can be a challenge. Udemy for Business breaks down what to expect in Our Learning Predictions for 2018. North of the border, Rudner Law looks at employment laws that were passed last year and will be affecting how things are done in the future in their post Year in Review: The most significant developments in Canadian employment law in 2017. Two blogs are taking a look at words of the year, each with a different spin. Katee Van Horn cites “Engage” as the word of the year in her blog and encourages other to choose a word of the year that makes sense for them. The Fistful of Talent blog explores the idea of “Dilly, Dilly” being the word of the year, but settles on “transparency” as the word for 2018. Each new year brings the potential for change. How change is managed can be the difference between success and failure. Lindenberger Group looks at 8 Ways to Manage Change in the Workplace Effectively. Best wishes to you and your employees for a wonderful 2018!